As I sit here this morning, I being an adopted child have struggled with being an adopted child and have felt rejection so many times. About seven years ago I met my Birth mother for the first time, but before she accepted to have contact with me during the waiting time for me, it seemed like forever. Finally, the day came when the case worker called and said my birth mother was ok with having contact with me. Adopted children struggle with the feelings of rejection. A minister came to our church one time, and he sat and talked with me and said I struggle with two things, and one of those things was the feelings of rejection. Jesus had to feel rejected by the way that people treated him, but because he was God manifested in the flesh he accepted and loved the people that rejected him. 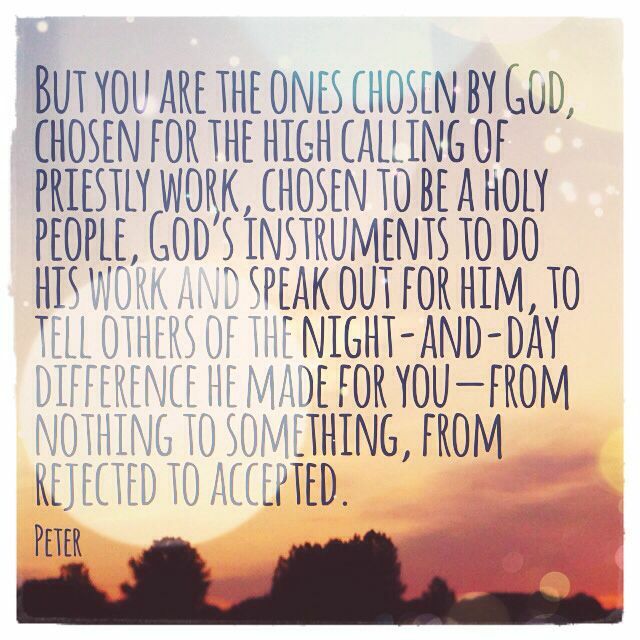 We are human, and we all probably have felt the feelings of rejection, but we have to realize that Jesus won’t reject us. He loves us. When we come to him we become part of his family he adopted us. He gave us his name. It’s just like when I was born my birth mother gave me a name, but when I was adopted my parents changed my name. When we become part of the family of God not only does he give us his name but we begin to change because he changes us. So when you feel like people have rejected you, remember that Jesus has accepted you, and he loves and he wants to change you.